Salads are wonderful but they can be boring. 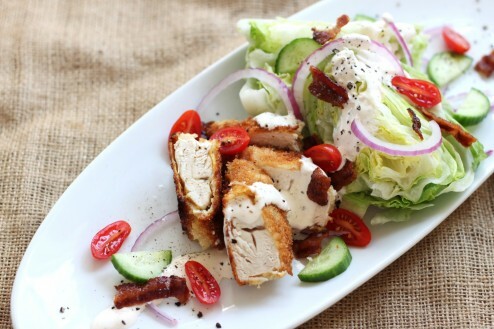 This Chicken BLT Salad is definitely not that. 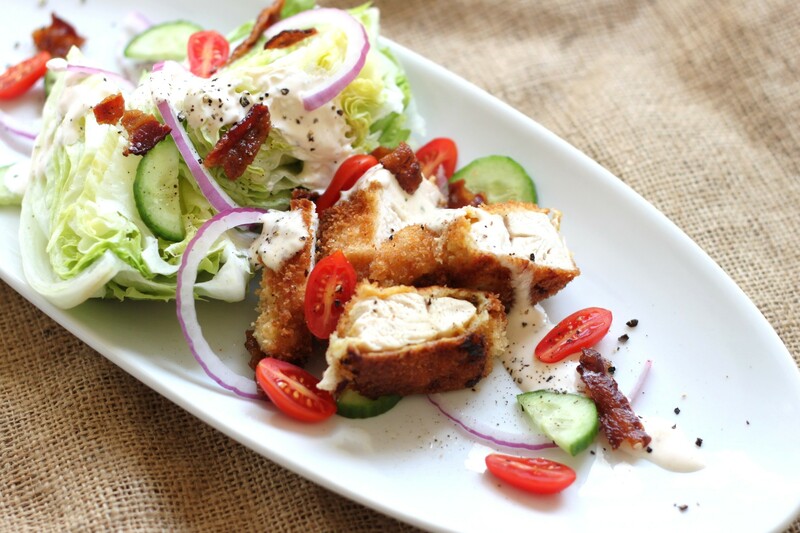 The hearty chicken and Iceberg wedge combined with the herb ranch, tangy blue cheese and smoky bacon are perfect – you almost feel like you are eating out. Mostly, I’m excited about this recipe not only because its delicious but I get to share two of my favorite things – my quick ranch dressing recipe and a neat trick for making perfect bacon without the greasy mess. This is great for a weeknight dinner or for a dinner party – either way, you won’t be spending hours in the kitchen. I love this bacon prep trick. Gone are the days of the messy range with bacon fat spattered everywhere – see recipe below for the whole process. After you get your three dredging stations prepared. Doing everything with only one hand, take your chicken and cover it in the spicy flour mixture, then into the egg and buttermilk mix and then lastly into the panko. The crispy panko make the chicken crust so light and crispy. After pan searing on one side, flip and place the chicken into the 425 degree oven. 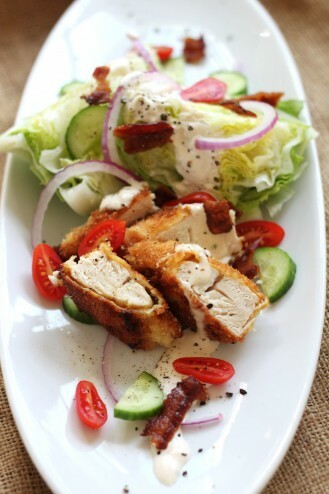 Don’t let the long-ish recipe below deter you, its really easy and its worth it. Promise. Cover a cookie sheet with foil. Place the bacon on it in a single layer, being careful not to overlap the pieces. Place the sheet in the cold oven and set the temperature to 425 degrees. Check the bacon in 20 minutes and depending on the thickness of the cut of bacon, continue to cook in 5 minute intervals until the desired crispiness is reached. 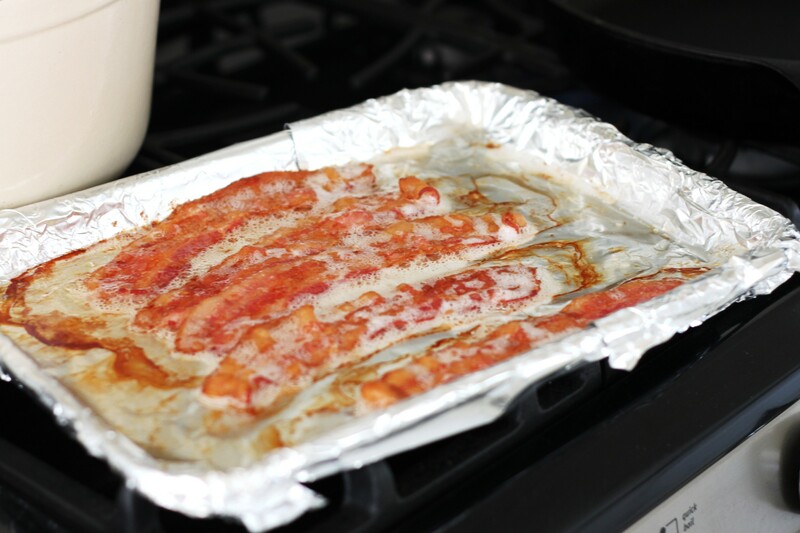 Remove from the oven and with tongs place the bacon on a paper towel lined plate to drain. When bacon fat is cooled wrap up in the foil and discard. Meanwhile, leave the oven on at 425. Next we need to put together our chicken dredging stations. 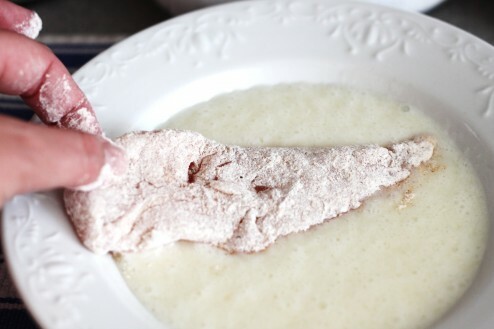 Combine 1/2 cup buttermilk and egg white in a shallow dish. Add flour, seasoning salt and garlic powder in a shallow dish. 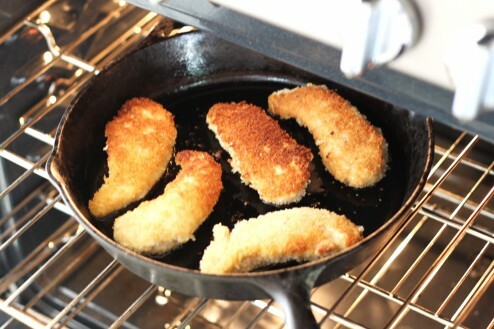 Place panko in a shallow dish. Dip chicken in egg white mixture; dredge in panko. Sprinkle with 1/4 teaspoon pepper and 1/8 teaspoon salt. Heat an ovenproof skillet over medium heat, adding oil making sure the bottom is fully coated. Add chicken. Cook 4 minutes on one side and then turn it over. Place whole skillet in the 425°oven for 15 minutes or until done. Let chicken rest for 10+ minutes. Slicing crosswise when cool. 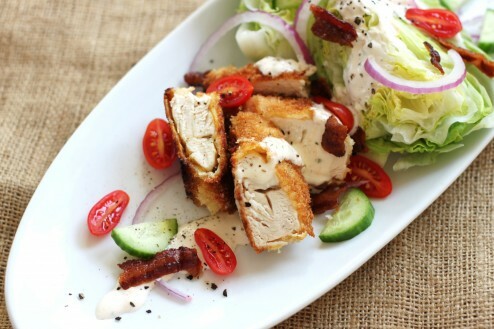 For the ranch, combine the mayonnaise and sour cream together and mix well. Add all of the remaining ingredients except the buttermilk, mix well until combined. While whisking add buttermilk slowly. 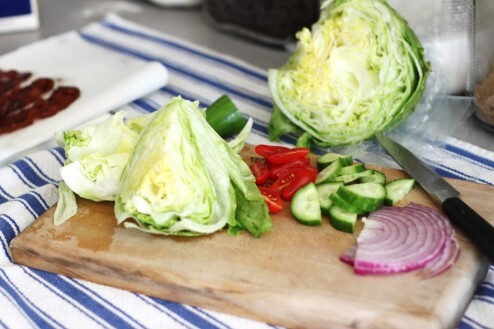 After having sliced all the vegetables, place 1 lettuce wedge on each of 6 plates. Add chicken and other vegetables. Sprinkle with cheese and crumbled bacon.